Sculptor Judith Modrak lives in Manhattan and keeps a studio on Union Square. But she remains pretty rooted in Rochester. Her mother, Deborah Modrak, a professor of philosophy, has been teaching Rochester students the ancient Greeks since 1982. Her brother, physician Joseph Modrak, treats patients at the Strong Sleep Disorders Center, and her husband, Mark Lobene, is a native. She visits often. 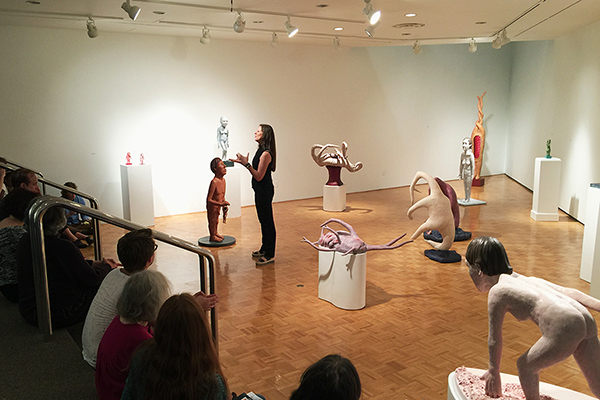 Still, her solo exhibition, opening in the River Campus’s Hartnett Gallery during Meliora Weekend, is a special kind of homecoming. “Your time at a university is a milestone in your life. 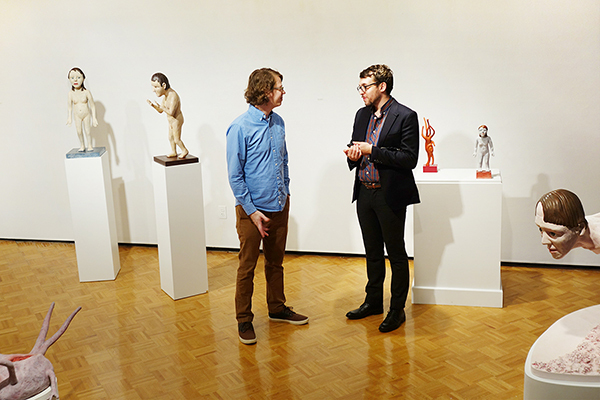 A solo exhibition is a milestone in an artist’s life. The two converge in a really wonderful way,” she says. Titled Fundamental Filaments, Modrak’s exhibit will consist of about a dozen pieces that reflect her full range. 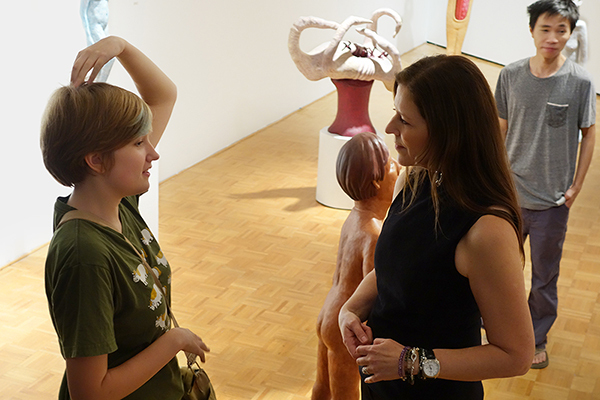 Her aim, she says, is “to shed light in sculptural form on the complex neural and psychological circuitry involved in bringing life to our memories and experiences.” The Hartnett Gallery, on the second floor of Wilson Commons, is a student-run professional gallery. Part of Wilson Commons from the student center’s inception, the gallery is celebrating its 40th year. 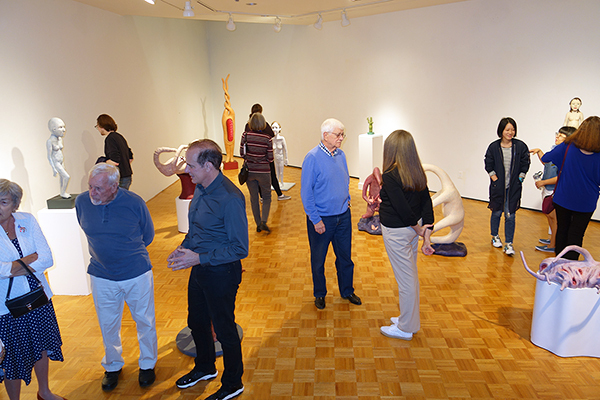 For more information about the gallery, the exhibition, and the complete 2016–17 exhibition schedule, visit blogs.rochester.edu/hartnett/. Opens October 7, Meliora Weekend, and runs through October 30. 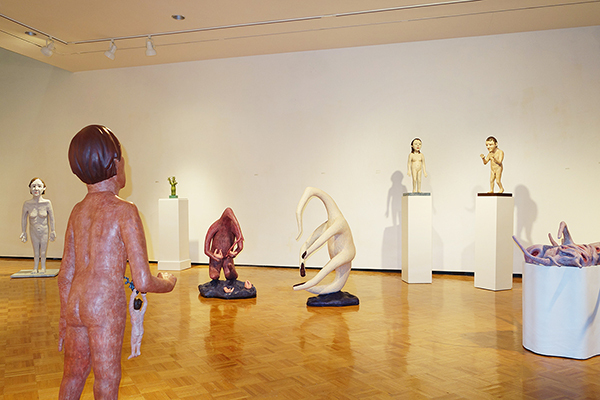 Modrak has exhibited in solo and group shows in galleries and museums across the country in cities such as Los Angeles, Palm Beach, Trenton, and New York. Her work is also held in many private collections. What got you thinking about memory? I was always drawn to art and expressive media as a child, and as an adult, to psychology and biology as well. What intrigues me so much about memories are questions like, Why are some so poignant, joyful, or unnerving, and others ephemeral? Where are they? What regions of our minds do they inhabit? They’re elusive and incredible. What are dendrites, and why depict them? Dendrites are the branches, similar to arms and legs, of a nerve cell. Scientists once thought they were passive transmitters of information, and then they recently discovered that dendrites aid in etching and storing memories. The essence of sculpture is that it occupies physical space. And in a way, the physicality of sculpture mirrors the physicality of actual memories as they’re imprinted in our brains. As I investigated and sculpted neurons and dendrites more, they came alive to me in a very anthropomorphic way. What can an artist’s rendering offer that scientific investigation can’t? For me, art has always been a tangible expression of one’s experience. In one series of figures, I explore feelings of vulnerability, uncertainty, and anxiety to provide a lens for other people to explore their own feelings, which can be unsettling, though equally cathartic. My sculptures provides a three-dimensional emotional interpretation of phenomena and experience. From earliest times, humans have sought ways to record their experience in material form and leave testimony that their lives mattered. I really do view the artist as a visual anthropologist of sorts. In my case, I’m rendering a very small sliver in the overarching timeline of human evolution. And at this particular time, I’m struck by the amazing advances in neuroscience. Collectively we understand what’s happening in our brains in a way that we never have before. It’s really quite astounding. This entry was posted in Press Release on September 27, 2016 by jmodrak.